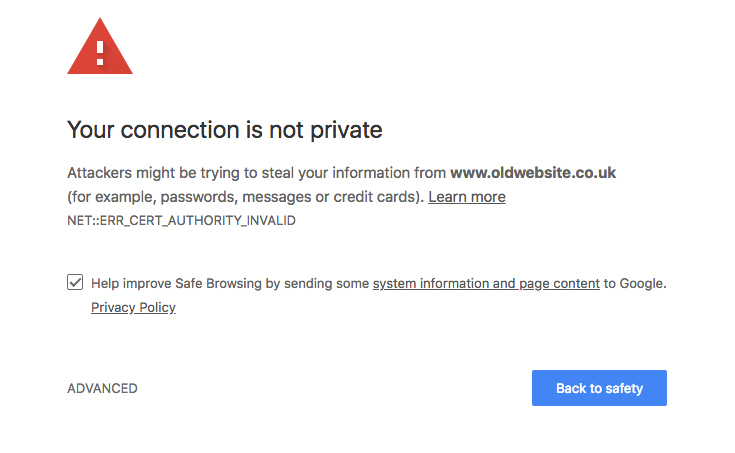 SSL Certificates – What, why, how? This is all related to something called a SSL (Secure Sockets Layer) certificate, a little bit of information that helps keep people safe online. If you manage a website and you haven’t got an SSL or unsure what it all means then fear not. We’ve pulled together a simple walkthrough of the what, why and how of SSL certificates. First things first. What is an SSL certificate? Well without getting too technical an SSL is a digital certificate which is used to authenticate the identity of the website, ensuring the website isn’t a fake mascaraing as something else. An SSL also encrypts any information sent to that website, meaning that the information can only be read with the correct decryption key. Helping to prevent information being stolen or hacked in transit. So why do you need one? Well as mentioned above an SSL makes your website more trustworthy to your visitors as they can be sure you are who you say you are and it increases the security of information being sent to your servers. If that wasn’t reason enough Google has been actively promoting SSL secure websites over non secure ones since 2015. But as of July 2018 Google Chrome – The world’s most popular browser, making up over 60% of the market share as of May 2018 – will start actively flagging websites without an SSL as non-secure. Any flagged website will be given a nice red warning in the visitors address bar. Which you can be pretty certain will put off a majority of visitors to your website, especially if your website has any transactional or data inputs. How do I get an SSL? If you haven’t got an SSL it’s time to act now. Getting a SSL is relatively simple, they can often be purchased for a small fee from your hosting provider. Having one will keep your visitor’s safe, keep their data secure and build brand trust. Without one you can expect to see a decline in visitors over the coming months as google continues to penalise those without one and you run the potential risk of exposing customer data. If you need any advice on SSL’s or would like help obtaining any installing one, why not get in touch with us today?